Reading through comments and emails we’ve received, it’s amazing how many people remember South London’s Crystal Palace circuit in period, either directly or through parents and relatives. It’s fascinating to think that there was a racing track hosting a London Grand Prix in a postal code of the the capital itself – which was rather more accurate than, for instance, the London Grand Prix that the Champ Car series held in 2003 at Brands Hatch, an hour from London’s centre! 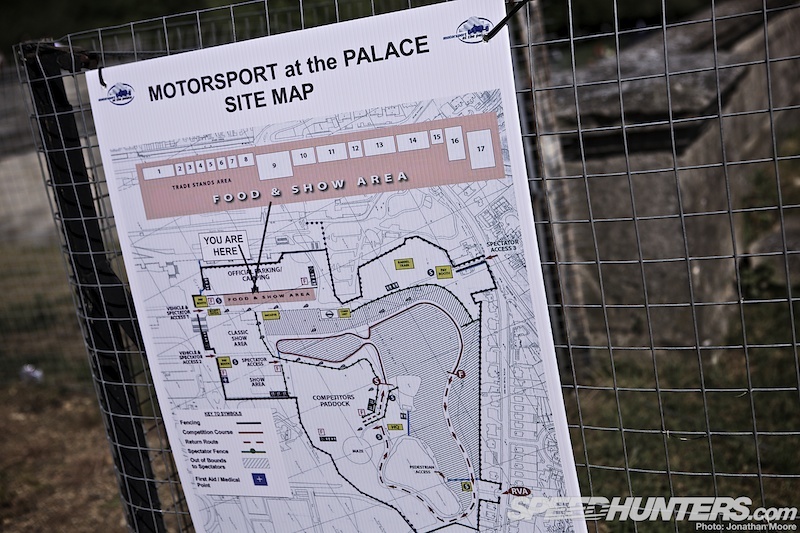 I’ll be taking a closer look at the track itself later this week, but for this story I’ll concentrate on the first sight that greeted spectators at last weekend’s Motorsport At The Palace show: the rows of displays from the car clubs. 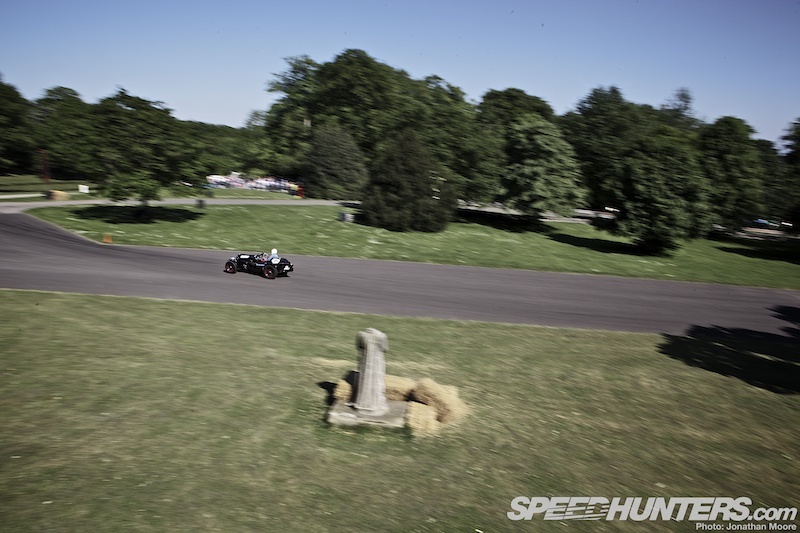 There was an expected very British theme, what with the location and the impending Jubilee celebrations, but still a fantastic range of cars on display that echoed the eclectic nature of what was taking on the Crystal Palace time trial course. This was not a place for modern boxy hatchbacks or soulless saloons. 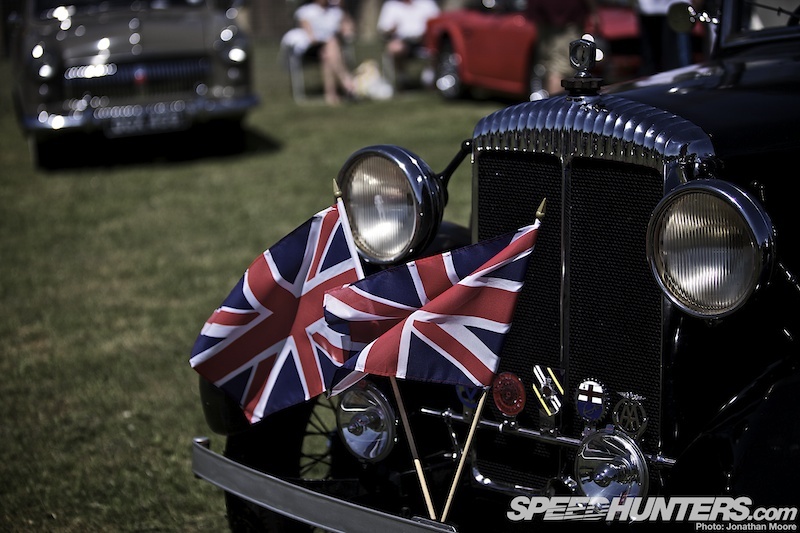 A full gamut of classic British metal was complemented by a host of US muscle, Japanese buzz-boxes and and Gallic road-going racers. From the foundation terracing of the Crystal Palace itself, spectators could catch a glimpse of the track (complete with headless statue…) winding its way through the trees in the park. On the terracing were the concession stands, event sponsor displays and an F1 simulator; walking down the wide steps that originally led up to the magnificent glass and steel Palace took you into the heart of club-land. 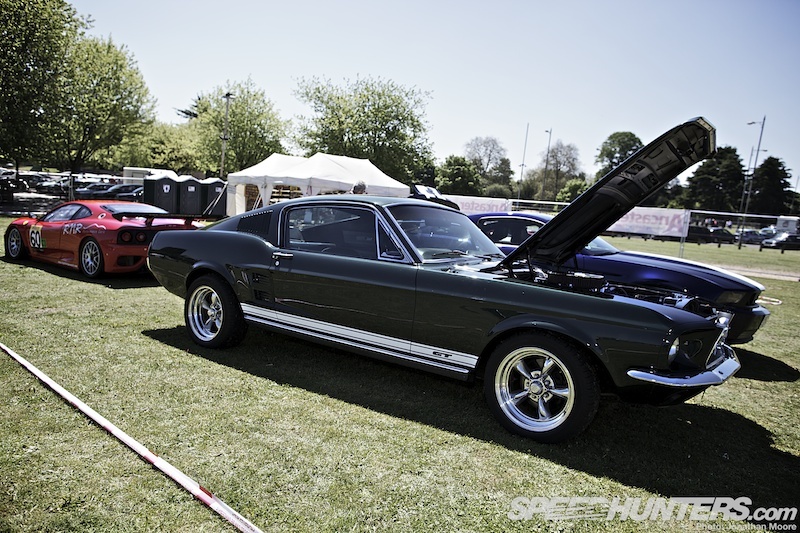 This Mustang GT was next to its more modern 5-litre younger brother. 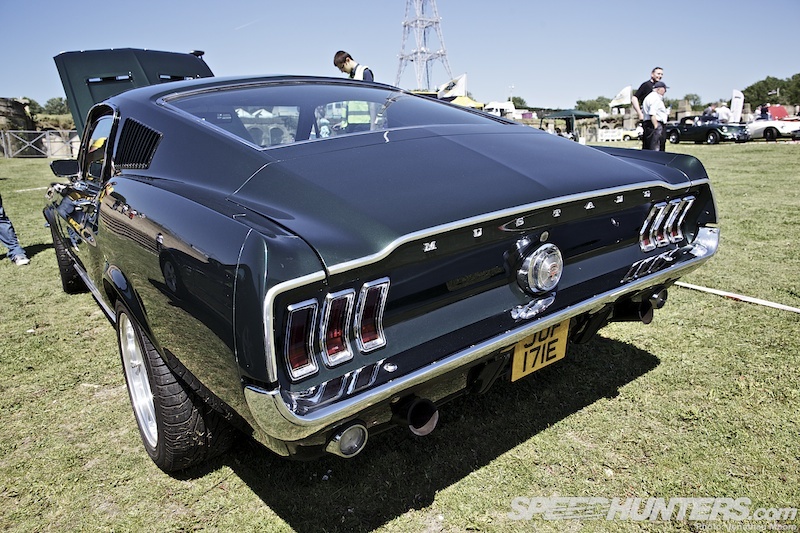 The iconic look of the fastback shape has been impossible to match for Mustangs, perhaps up until the new generation shape. 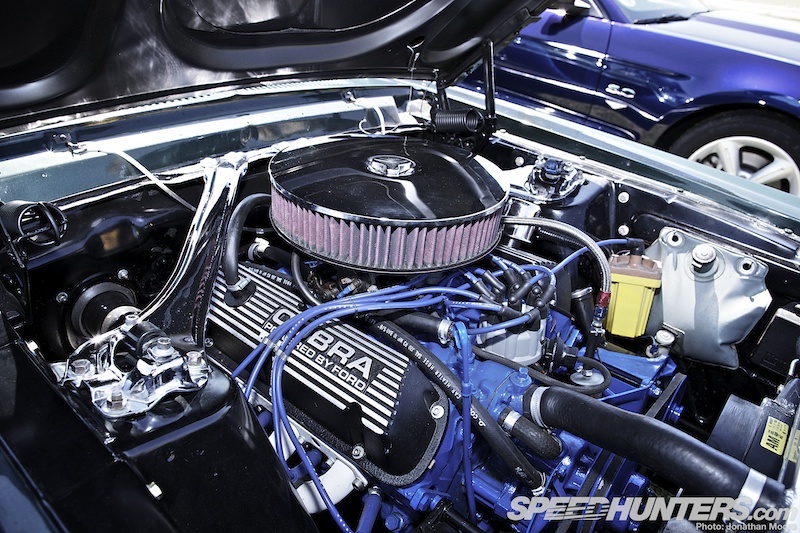 The engine bay was in pristine condition, showing off the GT’s sparkling Cobra V8 unit looking like it was fresh out of the factory. Lined up next to the pair of Mustangs were three Ferraris: this 308 GTS with a Mondial next door, plus a Ferrari 430 Cup racer. The recent revival in Lotus’ fortunes (if only in PR terms…) seems to have led to more Esprits coming out of the woodwork, which is never a bad thing. Motorsport At The Palace had this ’88 fourth-generation example, next to Elans old (a beautifully restored ’68 model) and new, plus an Elise. Most interesting was this bare metal 1960 Lotus Seven. We’re so used to seeing modern kit-car equivalents that it’s actually quite a shock to see the original they were all based on. 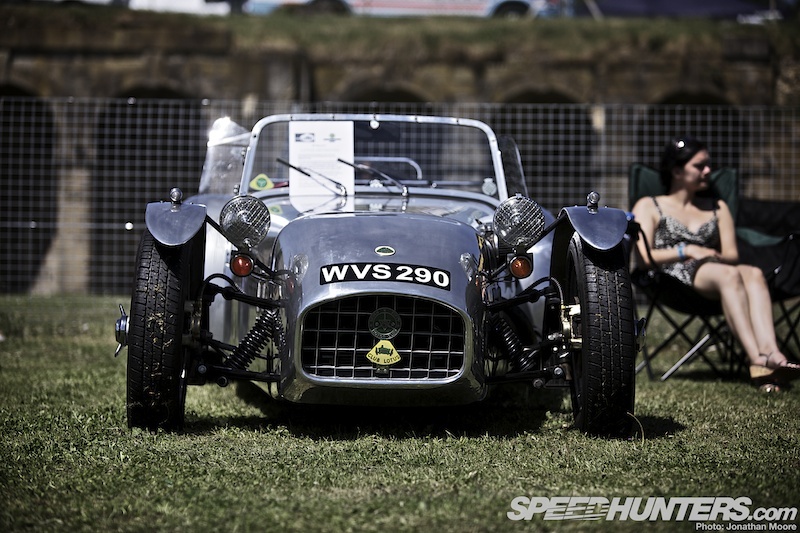 The Seven is *the* original track day car – a title it still maintains today, over fifty years later. 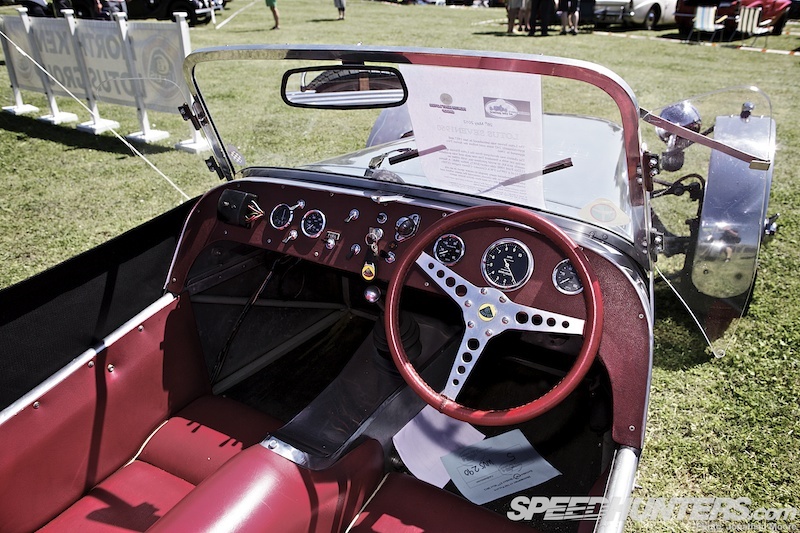 The original build-your-own-Seven concept was introduced by Lotus to avoid purchase tax; this model was used as a club racer for most of its life before being converted back into road-going spec. 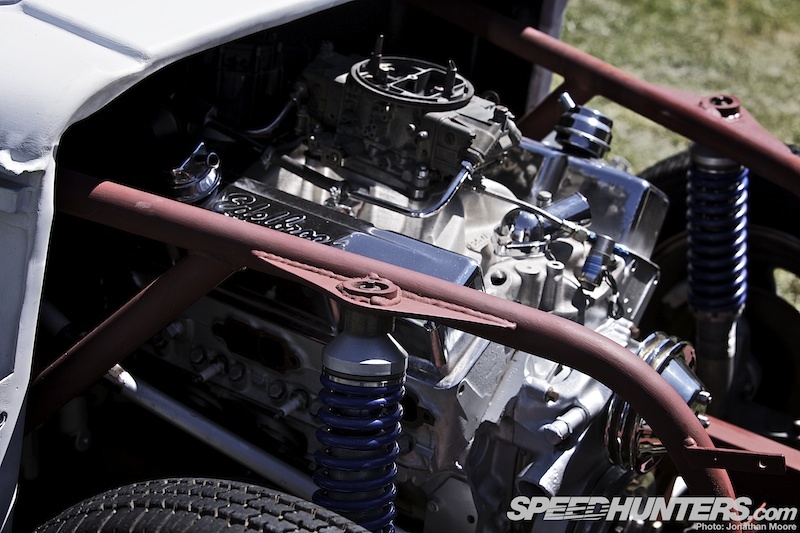 Under the hood is a BMC A Series engine bored out to 1380cc with a 40 DCOE Weber carburettor. The four-speed, close-ratio gearbox has been matched with disk brakes, replacing the original drums. It just shows you can still have fun with a 52-year-old. 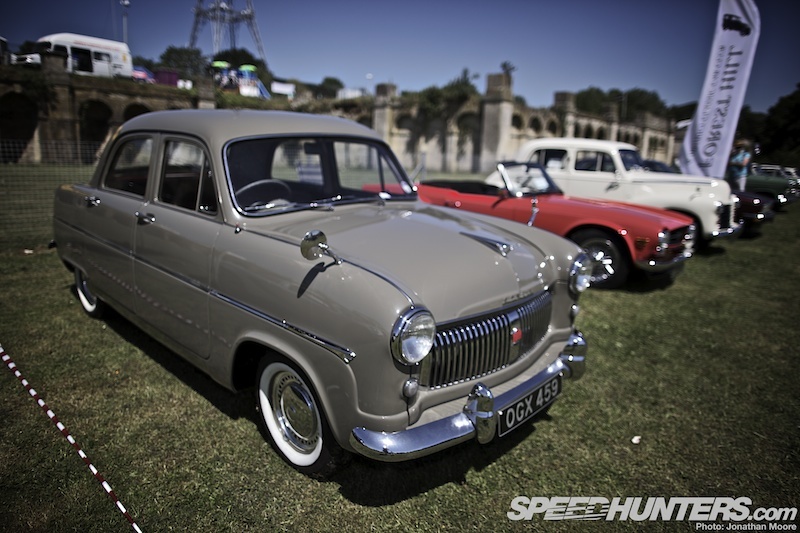 Ford are mainstays of the club scene, but here the examples stretched right back to the immediate post-War years with this Consul. The Made In England lion crest on the front is from well before the days of the Blue Oval emblem. 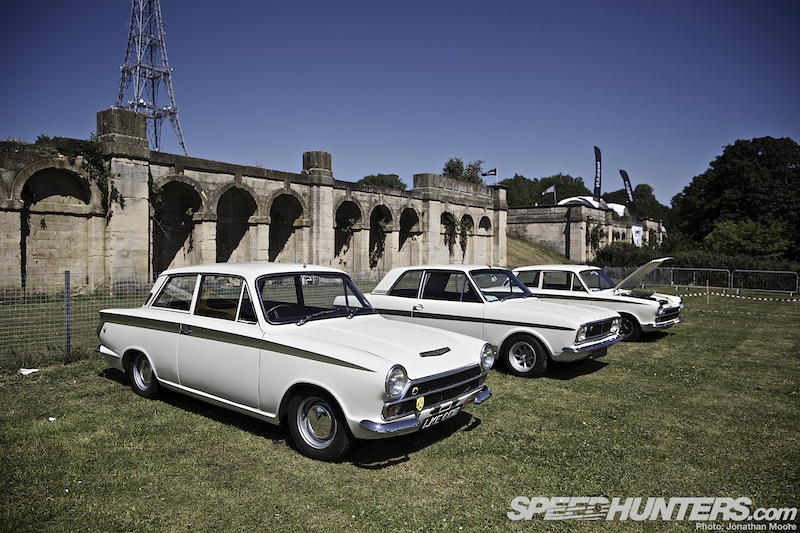 Cortinas are intrinsically linked with the Crystal Palace circuit, having three-wheeled their way round the track in period. Add in a Lotus badge, the Twin Cam logo and the classic green stripe, and your racer is ready to rock. The Mark II took on a much more modern shape – this is an example from 1970, the last year of the Mark II. 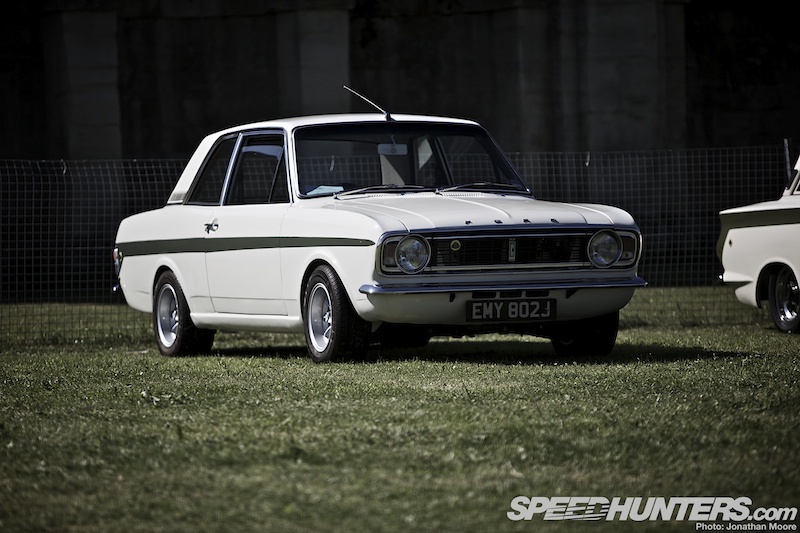 With how prevalent Mark Is are in historic racing it’s easy to forget that they were only manufactured for just four years – a production period matched by the much less commonly seen Mark II. 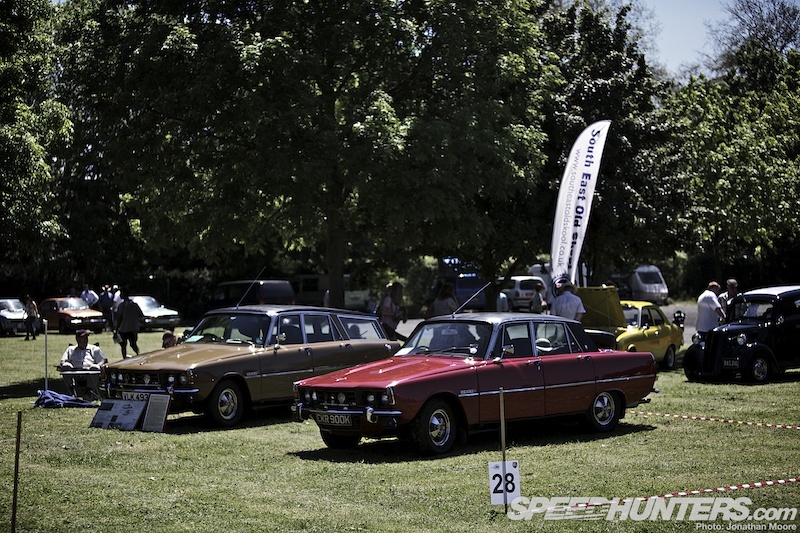 And where there are Cortinas, there are bound to be Escorts… A pair of Mark Is flanked a Mark II on the Sevenoaks And District Motor Club stand, the organisers of the event. 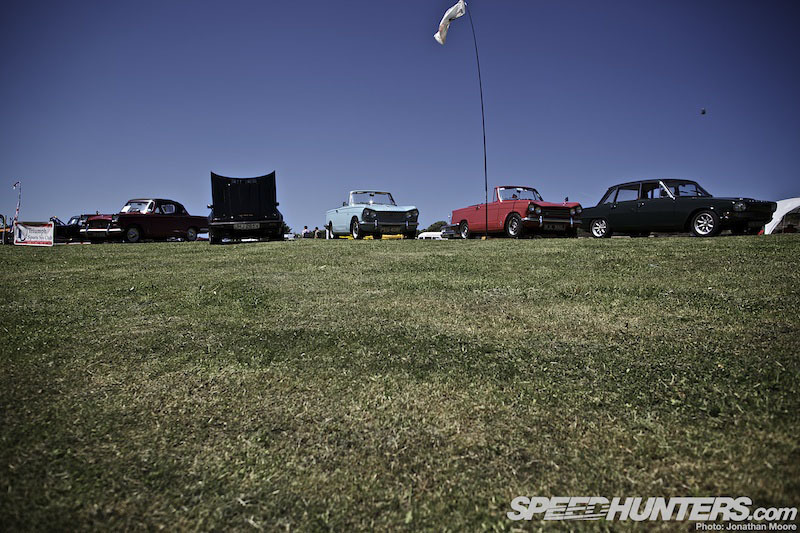 Back out in the parking area was this lowered 1967 Anglia: the Anglia name was first used by Ford UK in 1939, but the most recognisable are these ’60s shape models – another car well used to hammering around this track in period. 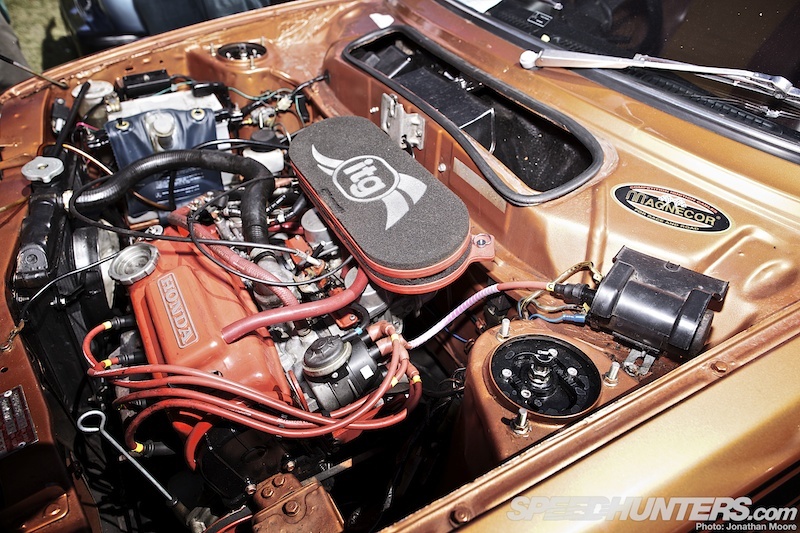 This car was the result of a long-term restoration project: it was bought by the current owner in 2000 with a race-prepped 1700cc engine and barely an inch of metal which hadn’t rusted away… It’s now in this beautiful condition, with a smaller, more drivable 1200cc block under the hood. 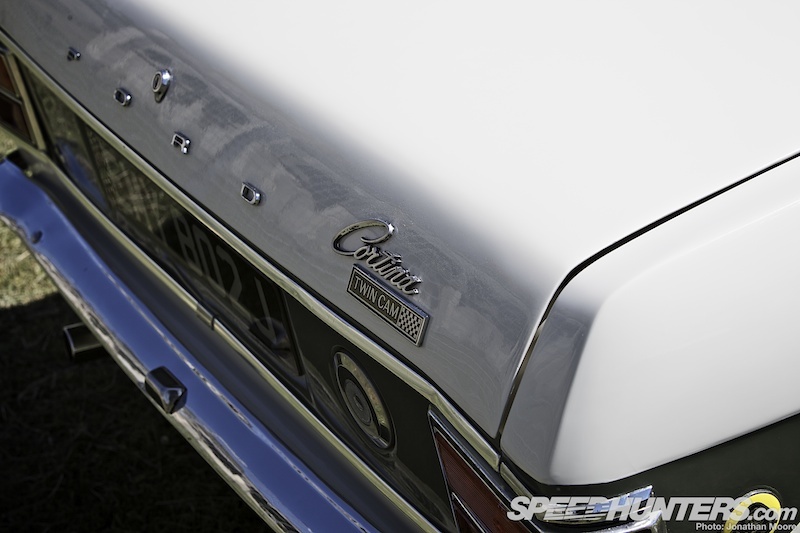 The Capri name was first used for the Consul Capri coupé in the early ’60s; the first ‘real’ Capri hit the streets of the UK in 1969 and immediately became the affordable fast car that everyone wanted to own. 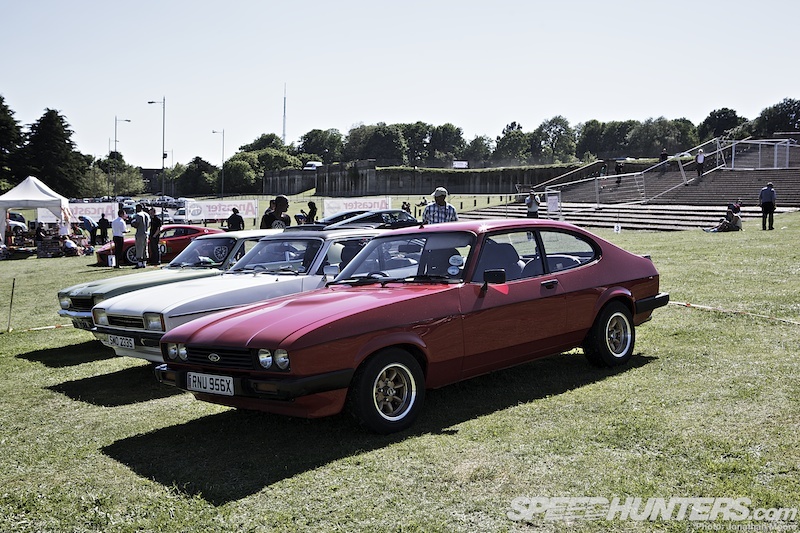 Here we can see all three versions of the Capri, from an original Mark I to the last Mark III. There was also the swan-song for the Capri: a Brooklands 280. This was the final iteration of the Capri after 25 years of production. 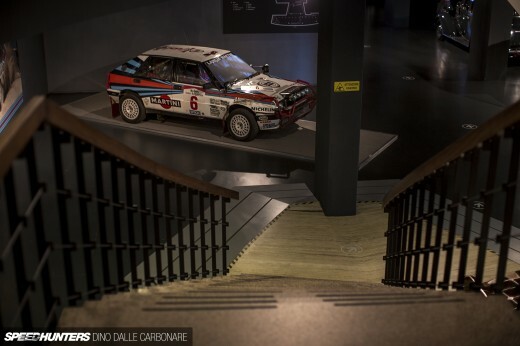 Originally the car was going to be the called the 500, with that number of turbo-powered cars planned, but production issues meant a last run of 280 cars featuring a limited slip differential, a leather Recaro interior and wide 15″ wheels. 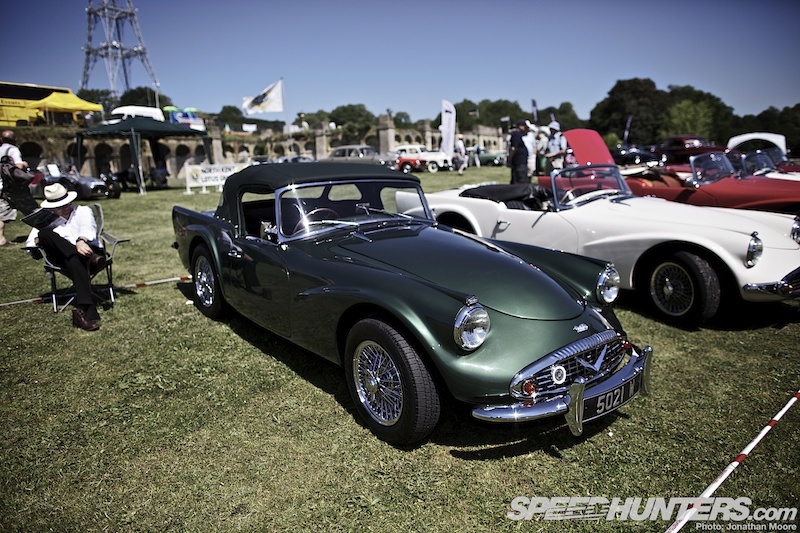 The 2.8-litre fuel-injected engine was absolutely pristine as was the bodywork, still resplendent in its Brooklands Green paint – the only colour the car was available in. There have been various plans by Ford to revive the Capri name, but we’re still waiting on a production car worthy of the name. 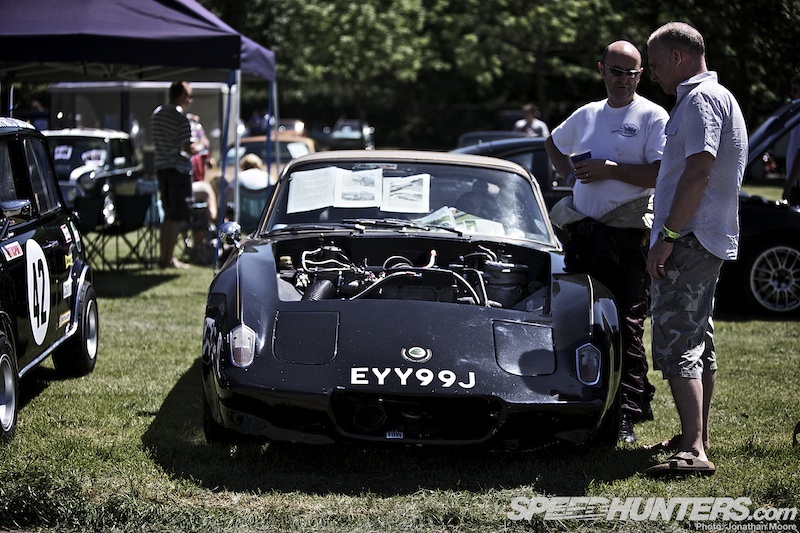 The Sevenoaks club stand also had this 2+2 Lotus Elan hill-climber. It’s been in the hands of the owner since 1978 and competing since 1990. 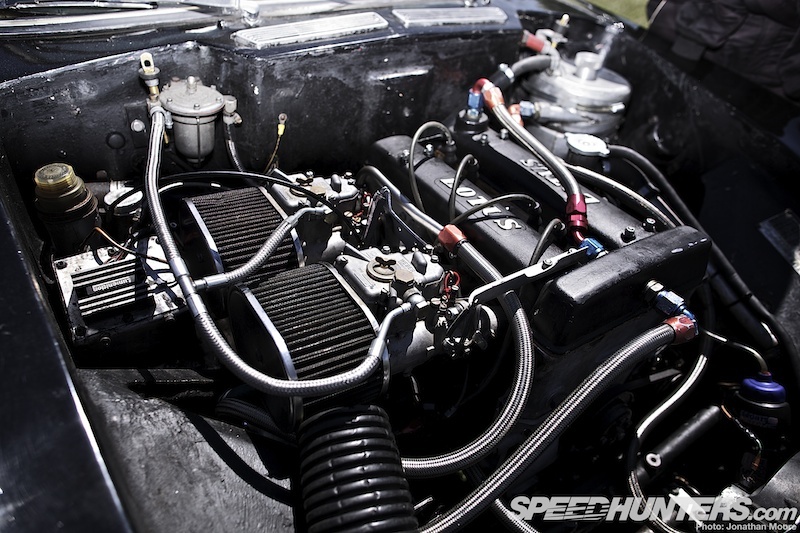 The Lotus Twin Cam produces 170hp through a Quaife straight-cut four-speed box and limited slip diff. After winning several club events and the 2009 MSA Hill Climb Championship, the owners are now using it to compete in European hill-climb events. 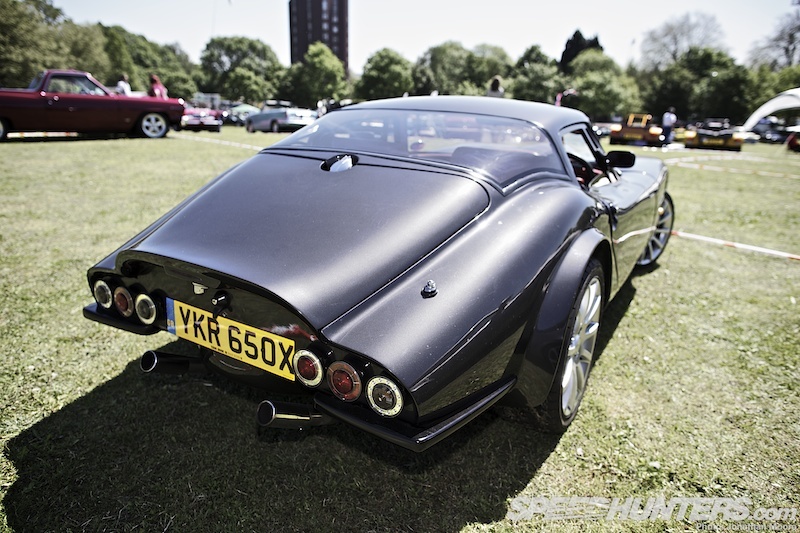 Like TVR, Marcos have produced some idiosyncratic exotics over the years. 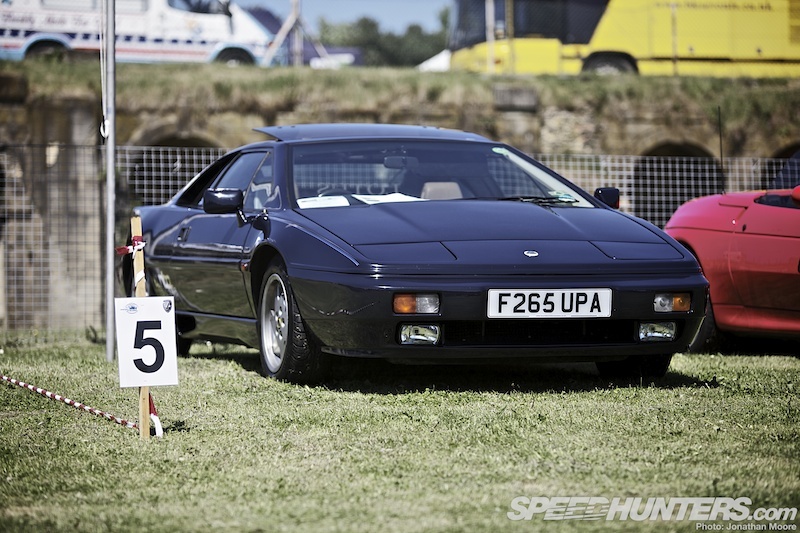 Just two Marcos models were present – but that was still two more than you’d see on any given day. 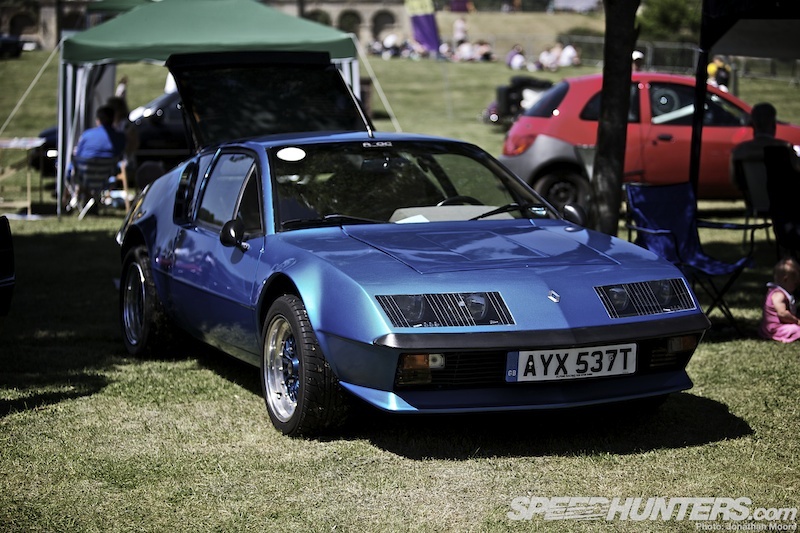 Here was a Mantula next to an incredibly rare TSO – engineered by Prodrive, barely a dozen were completed before Marcos once again lurched into administration. 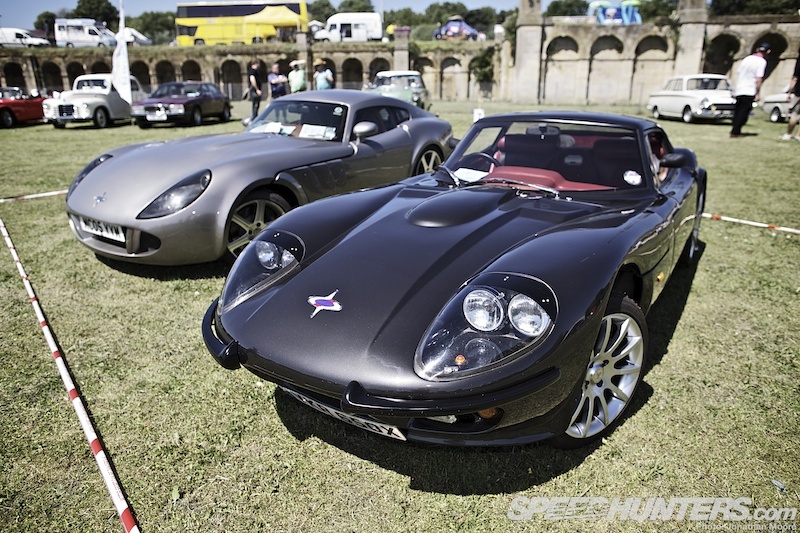 Marcos shovelled a V8 in the protruding nose of the Mantula, as they did with the Mantara that followed it and populated European GT grids of the mid-’90s. The ultimate incarnation was the awesomely fast LM600 Le Mans car, which is still competing in Holland. Over-powered, very tail happy and with a cockpit that was so low you could barely see over the wheel – let alone where the front of the enormously long bonnet was – the cars were incredibly easy to get into trouble with. 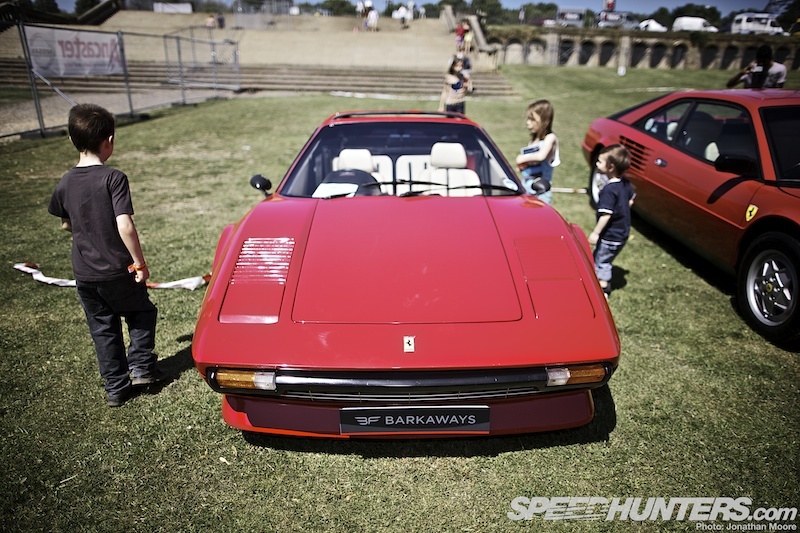 But they were also incredibly fun to drive – and another marque with a loyal following. 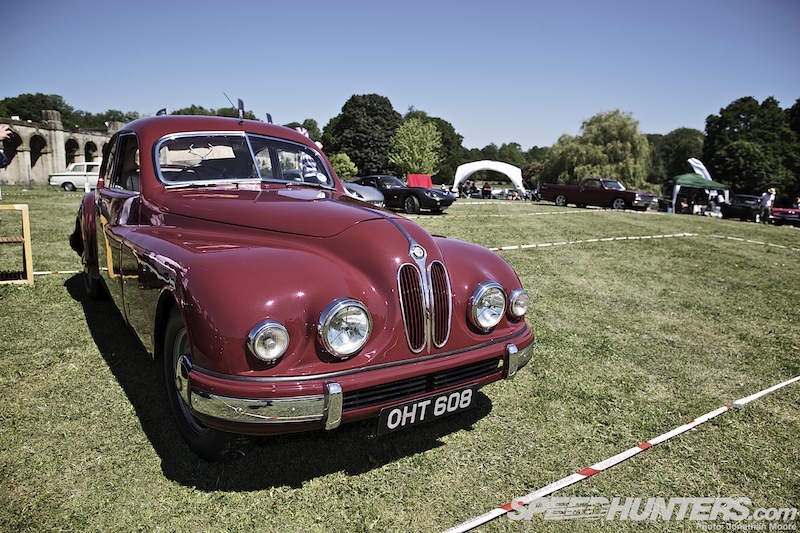 Bristol are another eccentric English luxury company: this is a 401 from 1951. 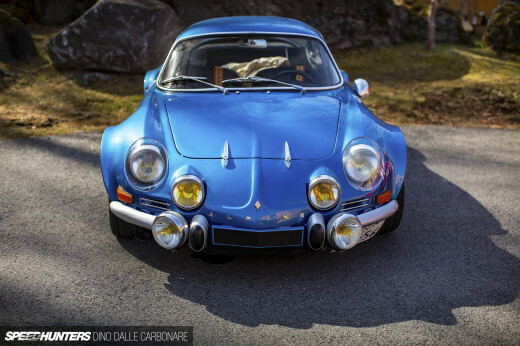 The body was designed by Carozzeria Touring of Italy, and introduced a new aerodynamically profiled coupé shape that was ideal for gliding along Britain’s A-roads of the time. 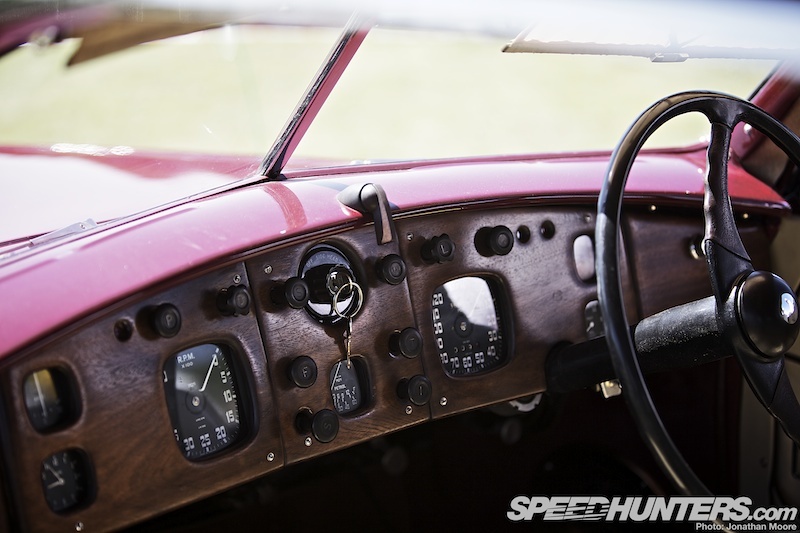 The 401 was pushed along by a 2-litre straight 6, making for a near-on 100mph top speed in leaf-sprung comfort. At the other end of the comfort and speed scale is this MG Magnette. 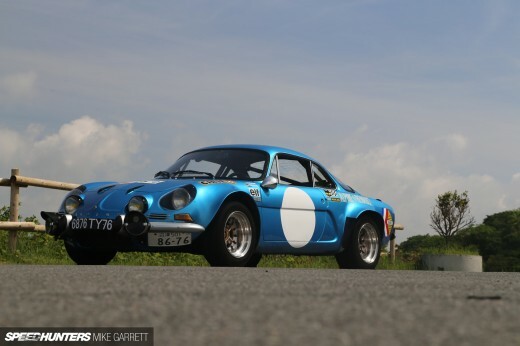 In body shape at least, this car is aiming to be the fastest ever MG. The Enigma Racing team are aiming to take this Magnette to the Bonneville Salt Flats – and to 260mph – within two years. 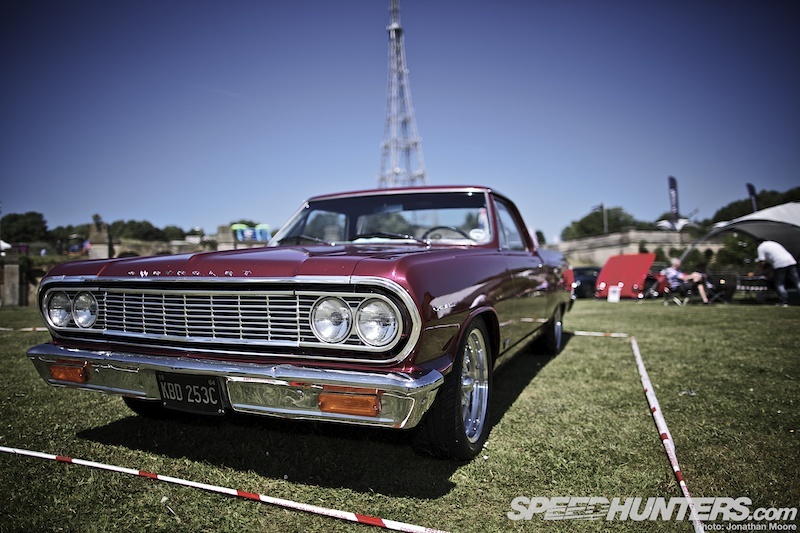 Back to Americana, and there was this boat of a modified early ’60s Chevy El Camino, which looked like there was enough room in the rear utility space to put any of the Brit cars at the show. 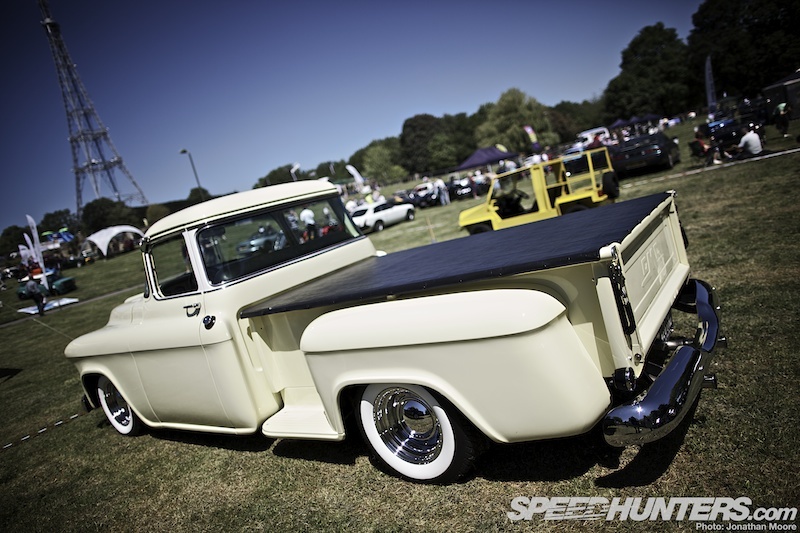 Another long and low pick-up was this lowered GMC, with shining chrome, whitewalls and rear cover. 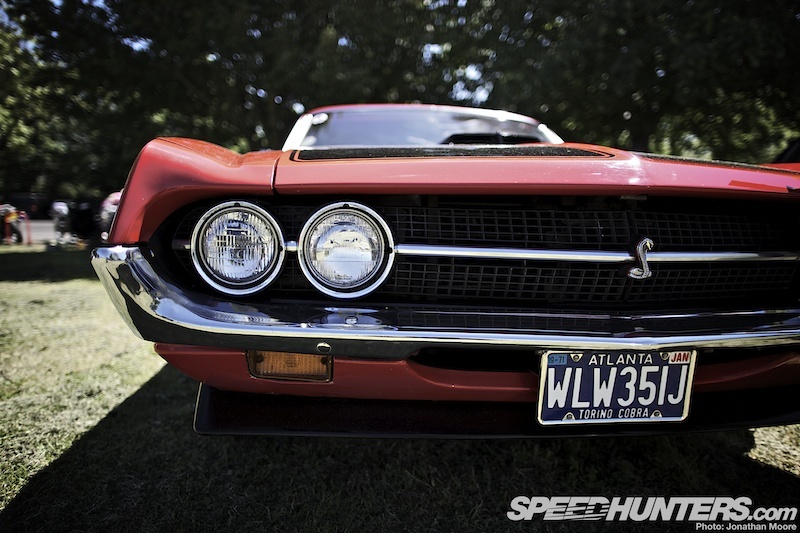 This rare 1971 fastback Ford Torino Cobra was making a lot of people go weak at the knees: with a 357 Windsor V8 inside, the car is surprisingly completely original. This is what proper maintenance means. The squared-off front of the Clubman has always been my favourite look for a Mini, and they’re always perfect bases for some customisation. With flared arches barely containing the wide wheels, Clubmans have just that little bit extra – like this Koy Racing example. Triumphs from across the decades were lined up on the main bank. Incidentally, the spot in the sky on the right are engineers ascending in a cable car to the maintenance deck of the huge TV mast. No thank you. 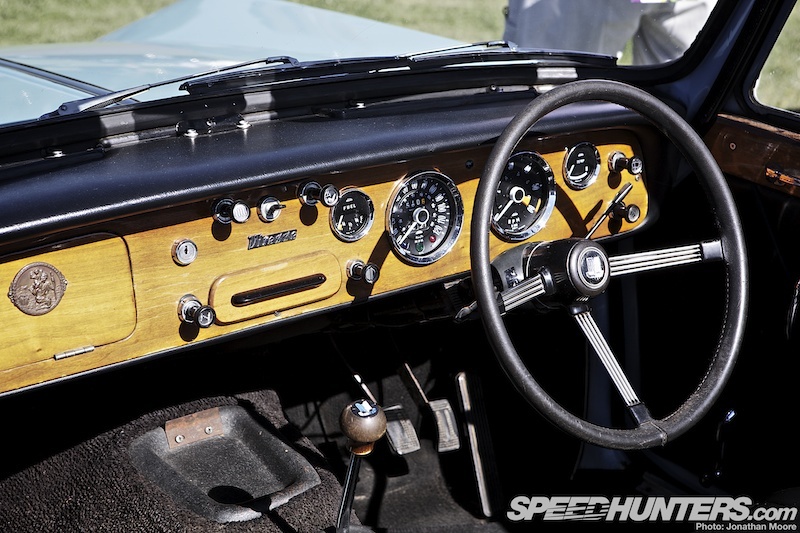 Inside this Vitesse 2-Litre Overdrive model… a wood dash of course! Overdrive was the popular option to have on period Triumphs: it dropped the RPM in third and fourth gears. 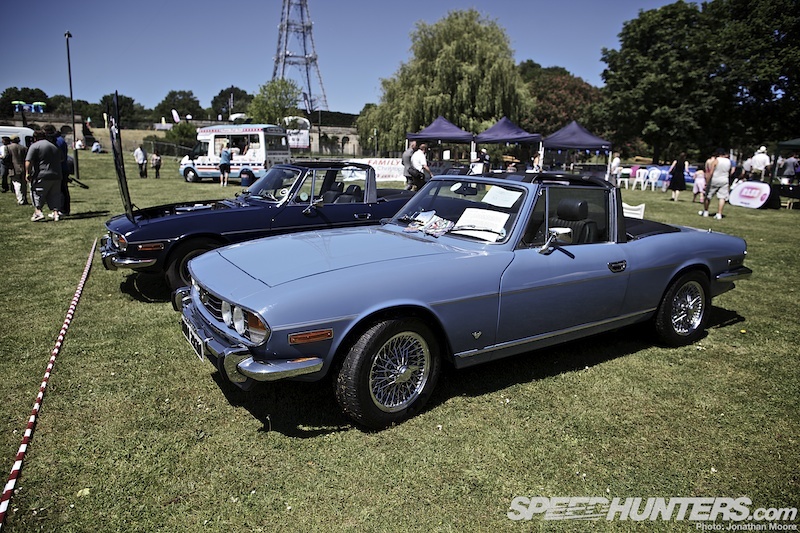 The Stag was Triumph’s luxury sportscar, a convertible designed by Michelotti with a beefy V8 up front. 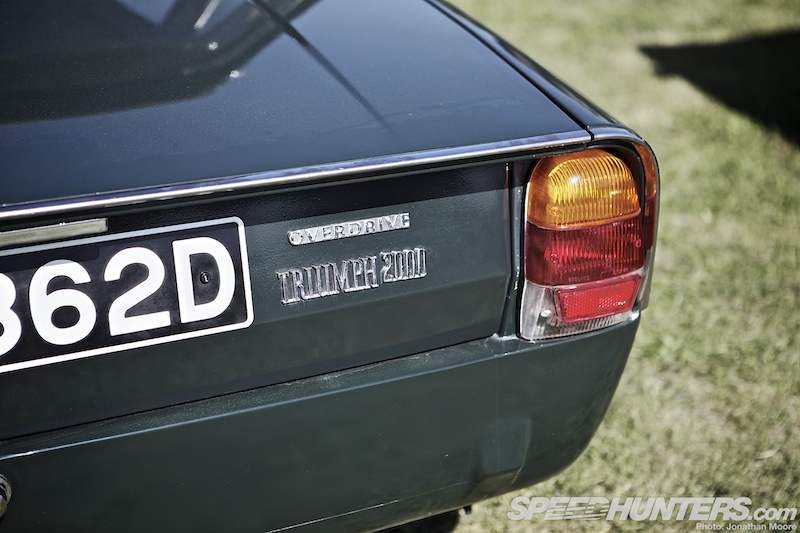 The TR8 was the final sportscar produced by Triumph (nobody sensible wants to remember the Honda-based Acclaim). 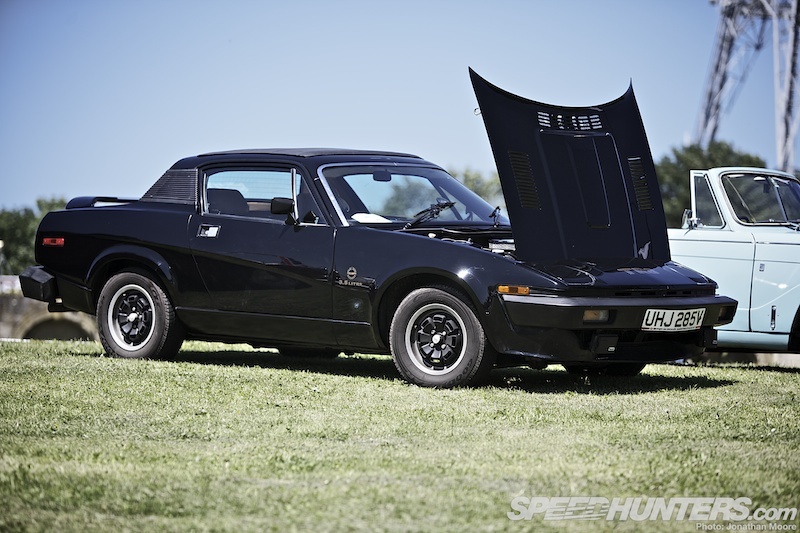 Relatively rare now, the TR8 was a 3.5-litre V8-powered version of the wedge-shaped TR7. Racing variants competed successfully in both rally and track form in the late ’70s and early ’80s. 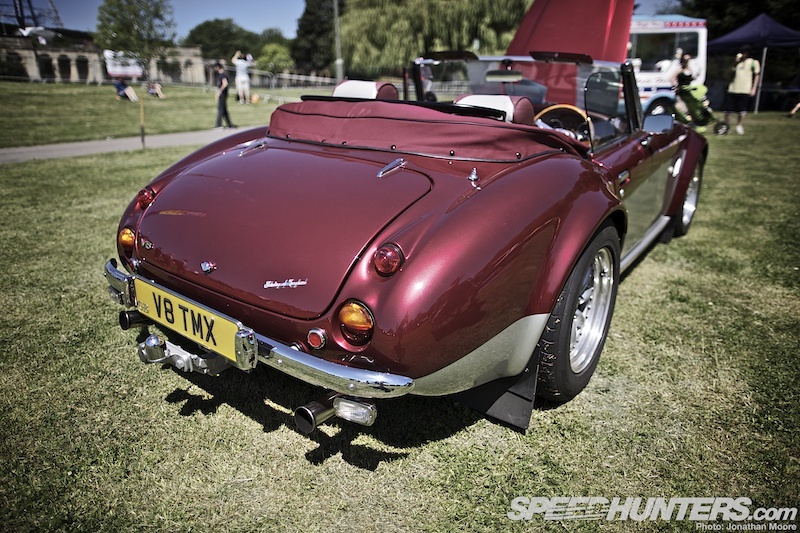 This is a Sebring TMX roadster kit-car, based on the classic Austin Healey 3000 but with a muscular injection of AC Cobra added. The engine is a torque-heavy 5.7-litre Chevy V8, producing 350bhp, so packs plenty of grunt and sounds great. 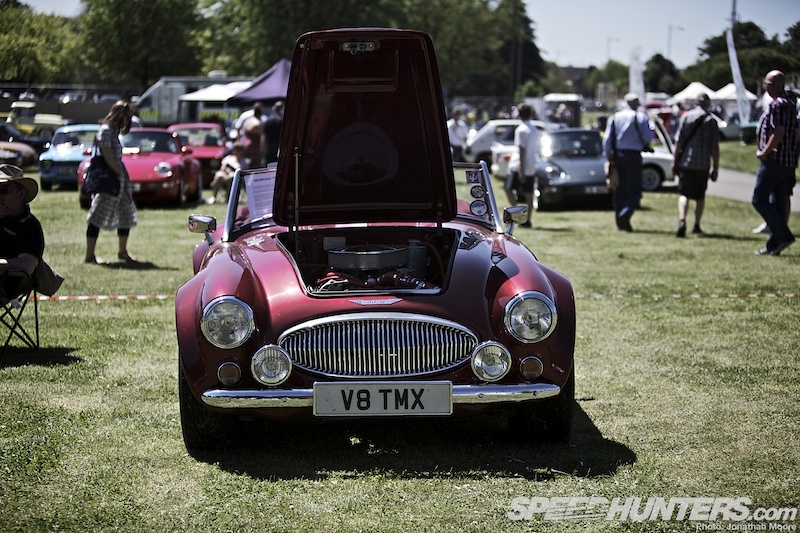 The car was built over an 18 month period, and is supposed to reflect how the Healey may have developed had it followed a similar path to the AC Ace. 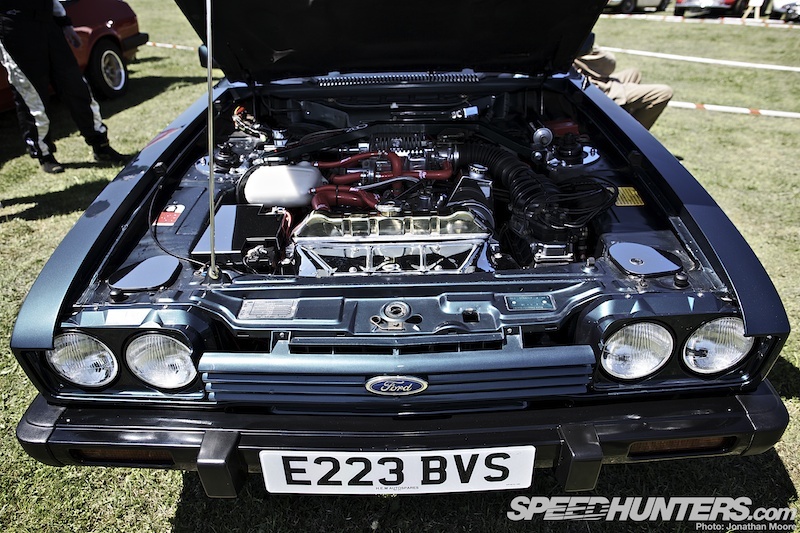 With cars now erring more and more towards small engines, it’s great to find (aurally if not envinromentally) how many British cars used to mount V8s. 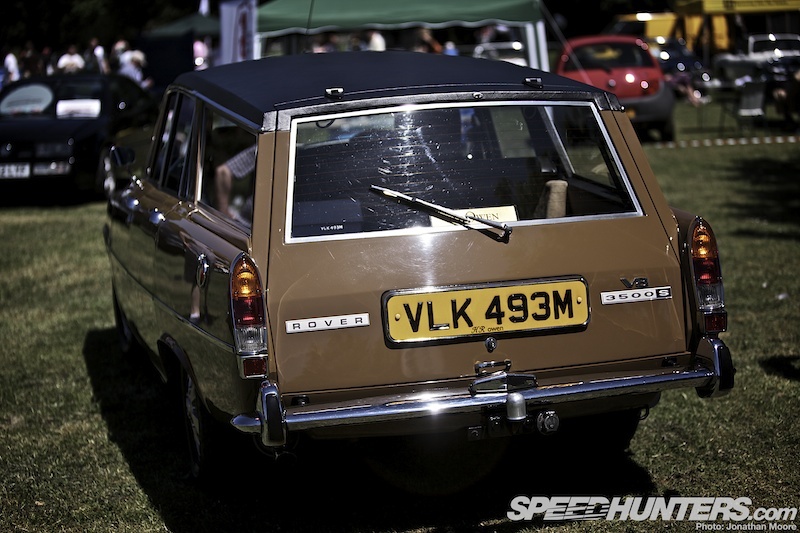 Having grown up in an era when 2-litres was seen as sporty and 3-litres a dream, the thought of a V8 topping out the range of most saloons is rather strange, and very welcome. 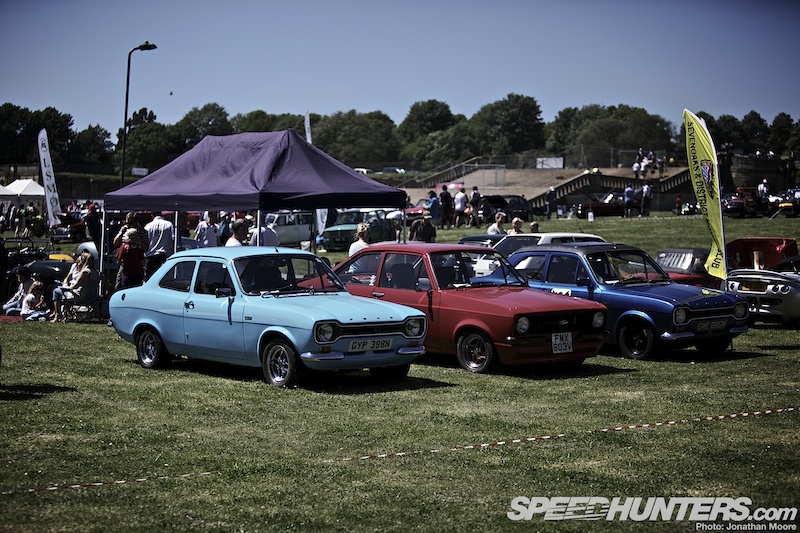 The Honda Civic bombing round the time trial course had a line-up of gleaming brothers in the Show Car area. 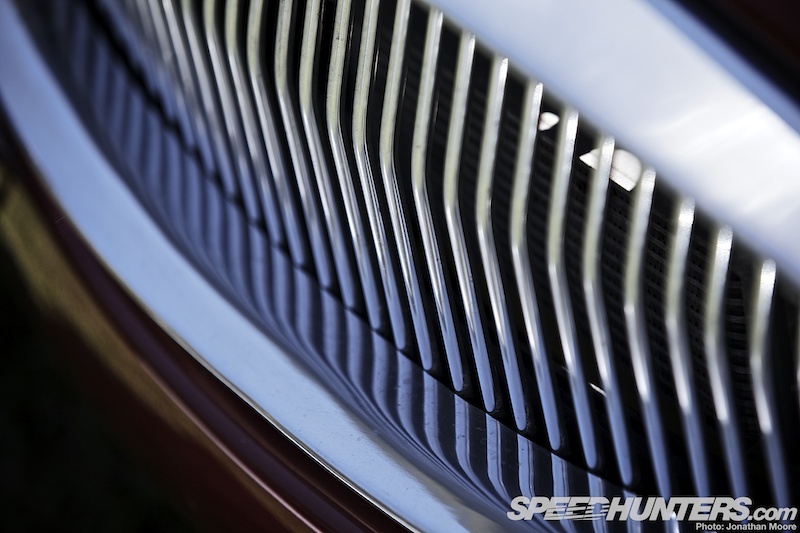 The flat metallic and racing stripes, plus removal of the bumpers, gave this one a great look. Small engines work just fine in lightweight, compact cars, especially when they’re given a little extra. English cars are just horrible. Great story, cracking day... More Anglias! @cstew78 @Speed_Kiwi Damn auto-correct. 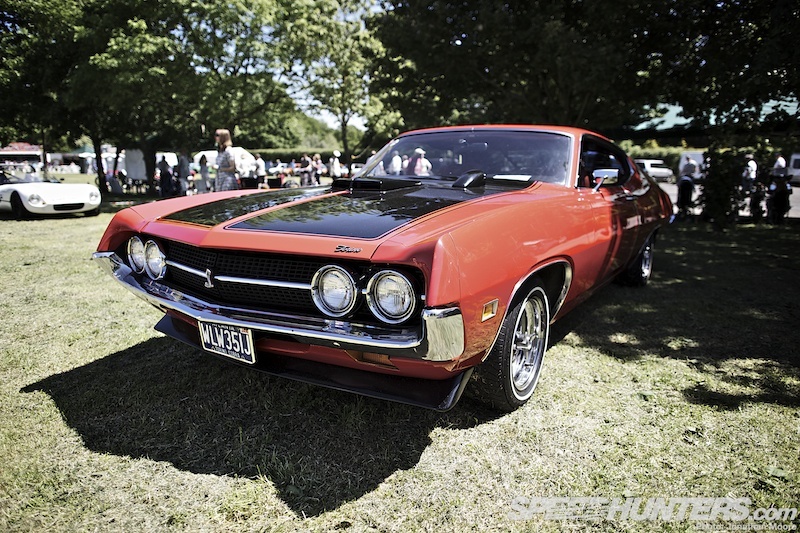 Of course it's a Torino... But on the engine front, the info panel on the car definitely said Windsor – unfortunately I wasn't able to catch up with the owner to check... I'll look into that! 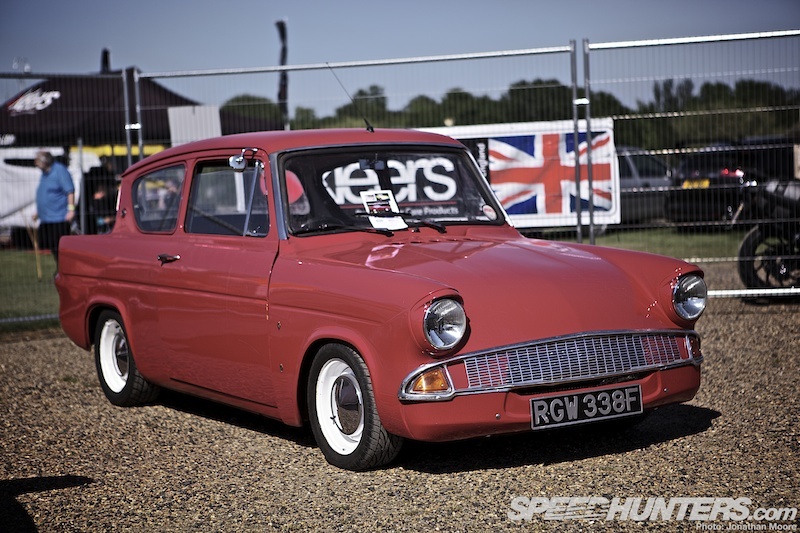 Hey Jon, that's my red Anglia. Nice picture!